Watch your little goddess take her belly dance performance to a whole new level! 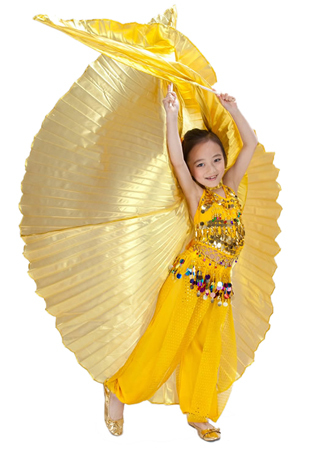 These spectacular golden Isis Wings are just the right size for children little dancers. A truly stunning stage prop that adds fun and excitement to any routine! 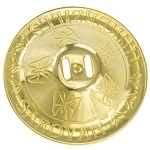 Closed back / single wing style - attached at neck. Child size wings approx. 43 inches long from neck to floor. These are awesome the kids look amazing doing their performance.